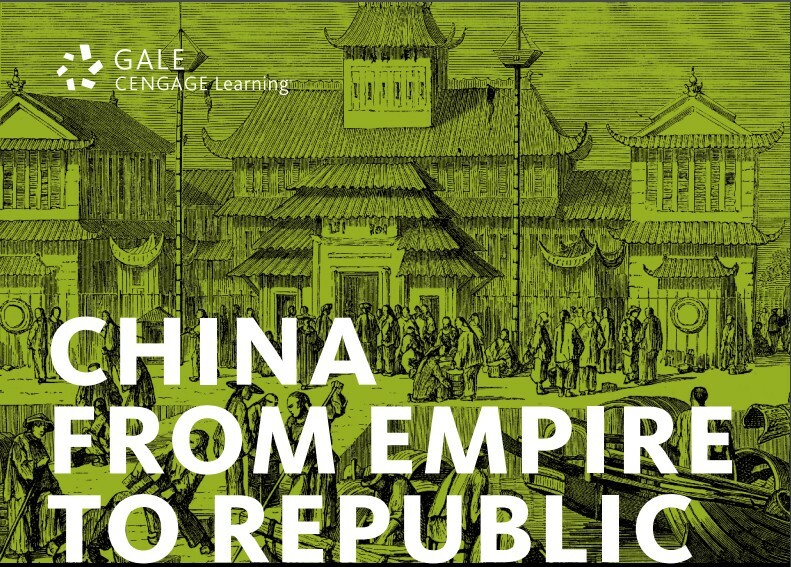 Until the 27th February the Library has trial access to 4 extensive primary source databases from Gale Cengage: China from Empire to Republic, Making of the Modern World: Part I and Part II and Nineteenth Century Collections Online: The Corvey Collection. Trial access ends 27th February 2017. This database is a collection of 17 English-language periodicals published in or about China during a period of over 130 years, extending from 1817 until the founding of the People’s Republic of China in 1949. This corresponds to the periods of the late Qing Dynasty and the Republican Era (1911–1949), when China experienced the radical and often traumatic transformation from an inward-looking imperial dynasty into a globally engaged republic. Set within the context of such major historical events as the Opium Wars, the Taiping Rebellion, the Boxer Rebellion, the Revolution of 1911, the second Sino-Japanese War, and the Chinese Civil War, these periodicals illuminate the thoughts of Chinese intellectuals and Western missionaries and diplomats about China – and, more importantly, their efforts to understand Chinese culture and transform the nation in the years before 1949. The Making of the Modern World: Part I, The Goldsmiths’-Kress Collection, 1450-1850 offers new ways of understanding the expansion of world trade, the Industrial Revolution, and the development of modern capitalism, supporting research in variety of disciplines. This collection combines the strengths of two pre-eminent collections, the Goldsmiths’ Library of Economic Literature at the University of London, England and the Kress Collection of Business and Economics at the Harvard Business School, along with some material from other libraries. This gives you access to to more than 61,000 books and 466 serials. The Making of the Modern World: Part II, 1851-1914 takes The Making of Modern World series to the end of the 19th century with approx. 5,000 additional titles. Comprising mainly of monographs, reports, correspondence, speeches and surveys The Making of the Modern World: Part II extends and deepens researchers’ access to international coverage of 19th century social, economic and business history as well as political science, technology, industrialisation and the birth of the modern corporation. The Corvey Collection includes the full-text of more than 9,500 English, French and German titles. The collection is sourced from the remarkable library of Victor Amadeus, whose Castle Corvey collection was one of the most spectacular discoveries of the late 1970s. The Corvey Collection comprises one of the most important collections of Romantic era writing in existence anywhere—including fiction, short prose, dramatic works, poetry, and more—with a focus on especially difficult-to-find works by lesser-known, historically neglected writers. The databases can be accessed for the duration of the trial period via e-resources trials. Access available until 27th February 2017. This entry was posted in Library, Online resource, Trial and tagged 19th century, 20th century, Databases, History, Literature, primary source by cstirling. Bookmark the permalink.